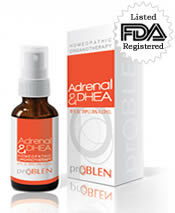 This is our new Adrenal & DHEA testimonial page. In the past we have kept the testimonials for all our products combined on the same pages. Now we have decided to give each product its own page. If you are taking this product we would love to hear from you! For the past year I have been feeling so tired and worn out. Things that in the past didn't bother me started to weigh heavily upon me. I went to one doctor who thought I was depressed, and another one wanted to blame everything on the change of life. They obviously didn't have a clue. I started doing research and when I read about the symptoms of adrenal fatigue it sounded like they were talking about me. I looked at the different products available. I tried one of the adrenal products that contain herbs and vitamins but I am very sensitive to nutritional supplements and so it didn't work out for me. After that experience I decided to look for a different type of product. I have taken homeopathic products in the past and tolerated them better so I went looking for a homeopathic product. That is how I found yours. I have now been taking it for 2 months and I can tell you that I am feeling better almost every day. I have more energy during the day and I sleep better at night. One of the best things I am noticing is that things don't irritate and upset me like they did before. It has only been 2 months but so far this product is showing me that it works. I am noticing a sense of calm and balance that I haven't felt in years! I have MS and these products are working incredibly for my symptoms. Susie Fischer - also takes HGH Plus IGF-1 & IGF-2, Estrogen & Progesterone, DNA/RNA. Positive results from my first order of 3 bottles. I am continuing to use the products and look forward to next 3 months results of getting stronger, younger, and more energetic. Susie F - now also takes HGH Plus IGF-1 & IGF-2, Estrogen & Progesterone, DNA/RNA.